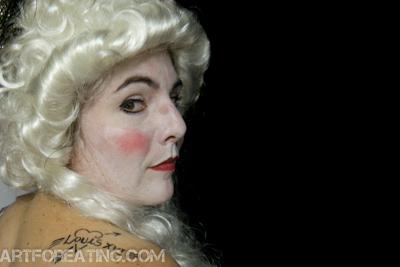 Bonjour mes petite chou-fleurs, où se trouve la guillotine? 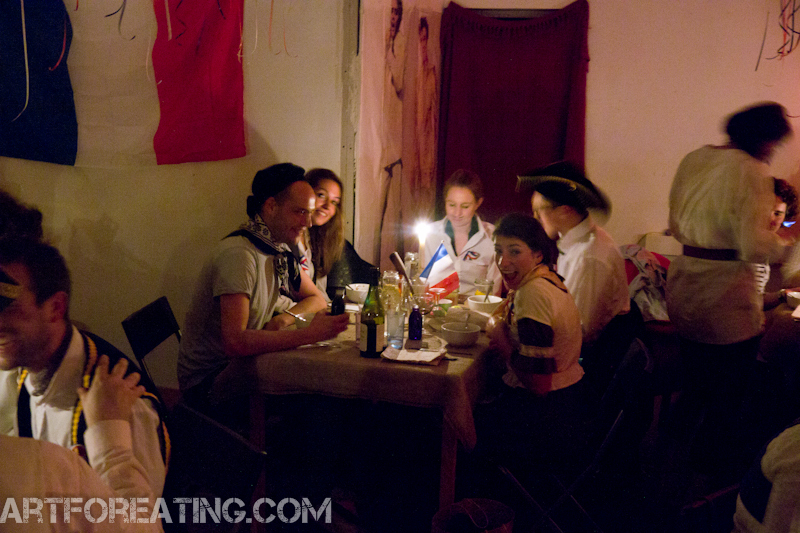 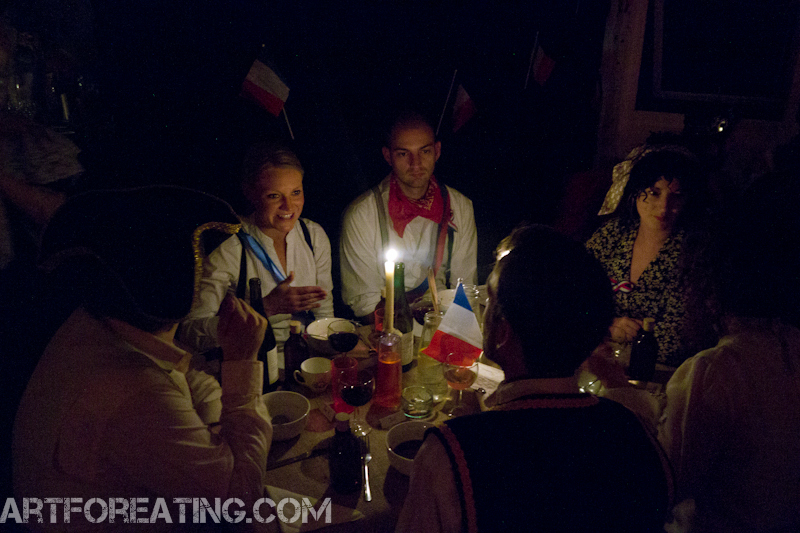 A culinary celebration of Liberté, égalité, and blood lust served through five courses of the French Revolution, accompanied by vignettes from the ArtForEating players. 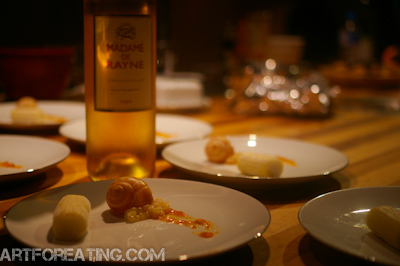 Offerings included Chèvre à la Coupe served with honey caviar and apricot lavender snail's trail and French Onion Soup with a Gruyere pastry lid accompanied by brandy and cheroot smoke.